In a letter to its shareholders, Assurant Health said it lost money because of a reduction in recoveries under Obamacare’s risk mitigation programs and increased claims on the health care law’s 2015 policies. Before Obamacare’s implementation, Assurant Health would underwrite its customer’s policies, which gave the company a competitive edge. The process involves adjusting the cost of a consumer’s premium based on factors such as medical history and age. 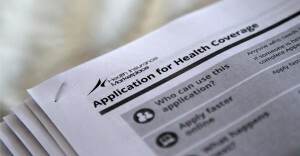 The Affordable Care Act, though, prohibited medical underwriting, and advocates touted the law as easing access to health insurance for people with pre-existing conditions. Despite the company’s efforts to reach more consumers, Assurant Health saw a $64 million loss in 2014. During the first three months of 2015, the company reported operating losses of $80 million to $90 million. Edelsberg noted that in the months since the health care law’s implementation, Assurant Health had been attempting to “pivot” with the law. While they were able to tackle some hurdles associated with the law’s implementation, the company was less successful in mounting other obstacles. “Overall, the changing regulatory landscape in the health industry was really too much for Assurant [Health] at this point,” he said.